Standing between those threats is Kira of Dematr. But Kira, who inexplicably has been able to manifest Mage powers as well as technical skills, finds herself being consumed by the mental conflicts between those powers and skills. 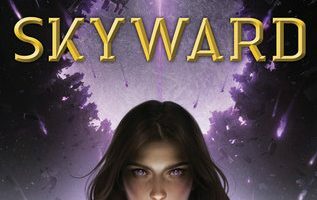 As rogue Mechanics, Mages, and mercenaries attack with every weapon at their disposal, Kira suffers more blackouts and begins to lose her mind. The fate of her world rests on whether she can stay alive and find answers in time to problems that no one else has ever confronted. 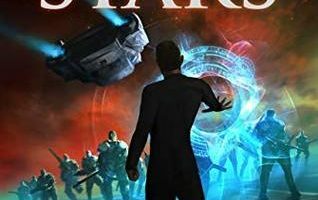 I’ve been of fan of Jack Campbell’s books since I first tumbled across his Pillars of Reality series a few years ago and I loved the first two books in this follow up trilogy. 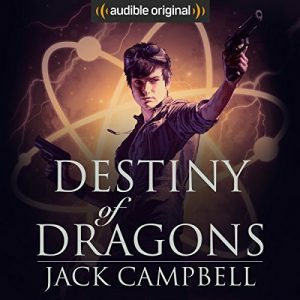 So when Destiny of Dragons released a few days ago I was pretty excited that I was able to get the audiobook right away and start listening to it. Sadly I can’t say that it really lived up to my expectations and I found it to be the weakest of all the books set on Dematr. Now, I’m not saying that it’s a bad book, I think Jack Campbell is a fantastic author and Destiny of Dragons was as well-written as any other book in the series. I listened to the book my entire shift at work and then came home and missed some sleep to finish it because I was left with the undeniable need to know what was going to happen next at the end of every chapter. I think this book did a great job fleshing out some more aspects of the world and giving us a bit more look at what led to the rise of the Mechanics and Magicians guilds in the first place. There were just a few things that really annoyed me about this book once I had finished listening to it that I wasn’t just brush off as inconsequential. First Kira whined A LOT in this book and it really started grating on me after the first chapter or two, and if she hadn’t insisted on remaining in denial about herself and her abilities for so long then I think events in this book would have gone a lot smoother for everyone. I also still think her relationship with Jason feels really tacked on and dragons the story down. Especially in this book where we seem to get entire chapters dedicated to her doubt about his love for her and their future together. Unlike the first series where I loved when Alain and Marie were together, I didn’t care about Kira and Jason as a couple at all in this book. 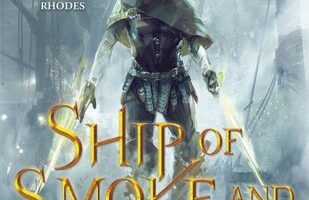 Once again I think that the best thing this book, as well as every other book in this series has going for it is MacLeod Andrews is it’s narrator. His range and the amount of emotion that he managed to pack into his narration is just fantastic and never fails to amaze me. Every character has their own voice and I don’t think I’ve ever seen him fumble an accent or voice at all between any of the books. While I think these books are enjoyable no matter how to experience them, I think the audiobooks is the best way to go. 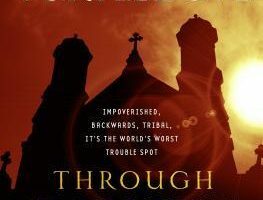 All in all I would have to say that this trilogy was a great addition to the series and I have no problem recommending it to anyone looking for something to read. Though I would recommend that anyone interested should read the Pillars of Reality series first before jumping into this trilogy. They are great books and you would enjoy the Legacy of Dragons trilogy better with the background information it provides.